Kate and Billy McDonald have defied the odds. For twenty-two years they’ve loved each other fiercely, but it hasn’t always been easy. On the road most of the time and fighting for a foothold in the music industry, Billy struggles to make a name for himself. Frustrated and angry, he relies on dangerous methods of coping, until one night, after facing the guilt of his biggest regret, he makes a mistake that could bring his entire world crashing down around him. Amazed at how far they’ve come from their rough beginnings, Kate cherishes her life. Sure, there are things she’d change, like having Billy home more and having a better relationship with her daughter. But when a startling betrayal follows on the heels of an unbearable loss, Kate’s world spirals out of control, leaving her staggering and wondering if it’s even possible to pick up the pieces. What happens when love implodes? Can it rise from the ashes, or will we all fall down? 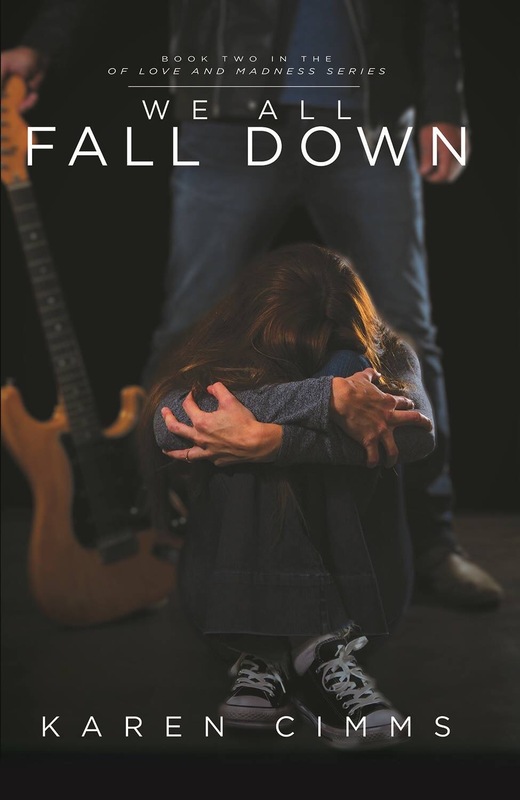 We All Fall Down is the second book in the Of Love and Madness trilogy. It is not a standalone, and to fully appreciate the characters, it is recommended that you read At This Moment first. Cutting herself off from everyone she loves, Kate settles in on the rocky coast of southern Maine. At first wanting nothing more than to be left alone, she eventually learns to deal with all of her hurts except one—Billy, her estranged husband. All I Ever Wanted is the third book in the Of Love and Madness trilogy, and the conclusion of a love story that defied the odds for twenty five years. But for Kate and Billy, it’s up to them to decide if it’s the end, or a new beginning. Billy crossed the hall into his bedroom where Kate was plugging in the last of the electric candles she’d set in each window. 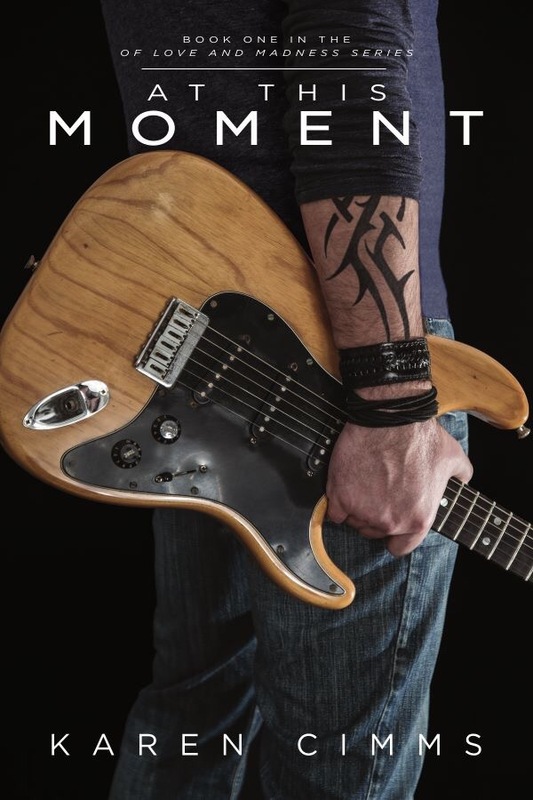 When a world tour opening for a major band suddenly falls through, Billy McDonald is forced to take the only gig available, even if it means he’ll be spending the holidays on the other side of the country. Christmas has always been Kate’s favorite holiday. But this year, she just can’t get into the spirit. With Billy on tour, her best friend on vacation in Hawaii, two young children to wrangle, a Santa’s Workshop to run, and an extended visit from her estranged mother looming, Kate needs a Christmas miracle. 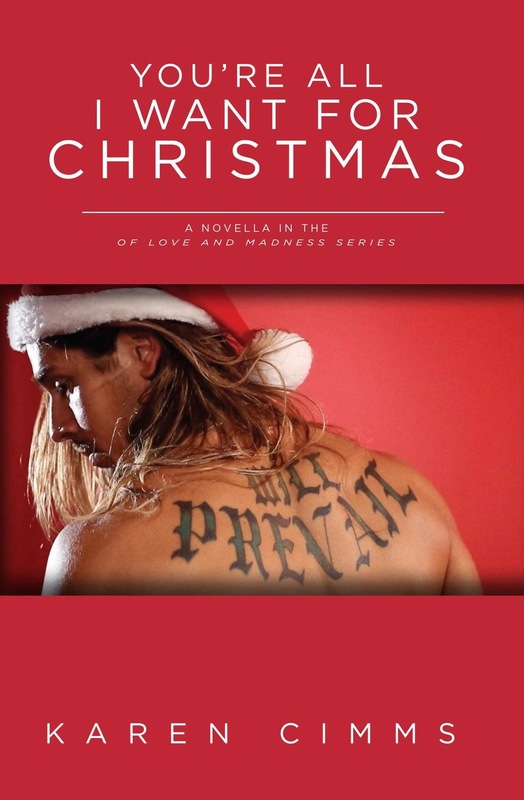 Set in 1995, “You’re All I Want for Christmas” is a holiday novella from the “Of Love and Madness” series.